Now you can steal our favorite night creature’s look without batting an eye! Well, maybe wearing these glasses actually does count as batting an eye. Now, we get the irony of making glasses for an animal with famously bad eyesight. It’s about the same thing as making a pair of snake socks, or towels for fish to use. But when you look this good, logic doesn’t matter. 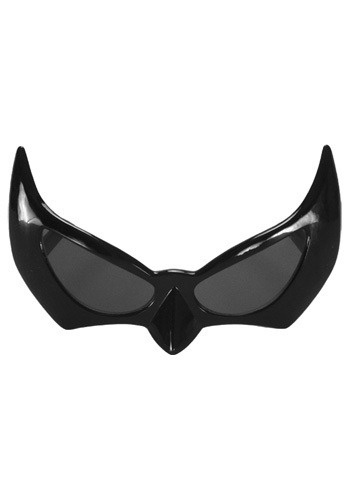 We don’t even have to tell you which superhero these glasses are perfect for. We wonder, though, would Batman ever need UV protection? Ziplining around Gotham would be hard enough without sunglasses on. We guess that’s why Batman prefers administering justice at night -- if he did it by day he would get a weird tan that would give Wayne away!